The Nintendo Wii gaming console just launched very succesfully in Japan and North America at about $250.00 a pop. If you had not pre-ordered, you’re in for a long, cold, queue outside gaming outlets just to get one. Once you get past the revolutionary control system – where you have to swing the controller as though wielding a tennis racket/sword/golf club/bowling ball, etc – you notice that the Wii includes the embedded version of the Opera web browser. This “Web Bowser” (I think I just coined that, actually) as I like to call it, is the way to access the Wii Shop Channel, a site on which you can buy/download games and also surf web pages. Using Opera. 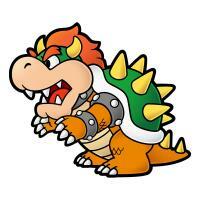 For you non-gamers, Bowser is a reference to the Super Mario video game series’ super-villain. What does this mean in terms of Web Analytics? That’s right, you can track web traffic, click and other regular WA-related info, from a gaming console! However, unless i’m proven wrong, no Web Analytics vendor has clear support for alternative browsing platforms. While the Sony PSP and the Nintendo DS fall into the “mobile devices” category, there is currently no Web Analytics segmenting for “gaming platforms” such as the Wii or the PS3. NOTE: the Wii will be available in Europe on December 8th.